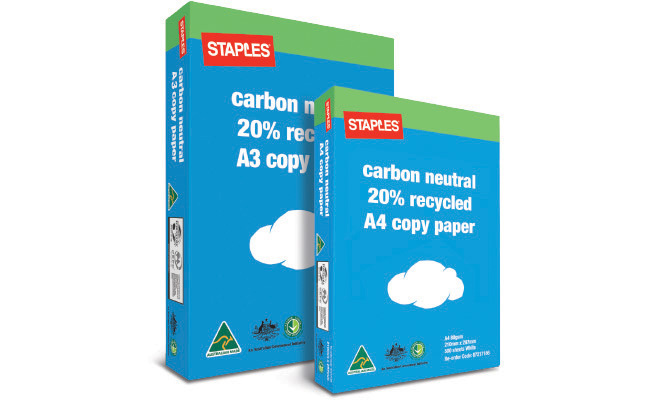 Carbon Neutral paper shows Staples duty to sustainability. | announced! Staples is the world’s largest office products company, providing products, services and expertise with office supplies, technology solutions, business furniture, print solutions and a range of other services. The company ranks 3rd in the world in ecommerce sales with an annual revenue of $25 billion. In 2015 Staples has been recognised as an ABA100 Winner for Best Eco Product and Best New Product in The Australian Business Awards. The company has developed a Carbon Neutral 20% Recycled Copy Paper. Being a carbon neutral product means that the manufacturer has accounted for greenhouse gas emissions throughout the products lifecycle, this data is gathered through an independent audit. The product is only available through Staples and demonstrates a dedication towards sustainability. Sourcing the materials requires following a strict Ethical Sourcing Policy to meet quality, environmental and social standards. 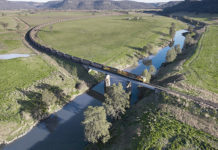 All fibre used in the manufacture of this paper has been sourced from managed regrown forestry operations around Australia. Next articleCrown Resorts set to employ 2000 Indigenous Australians.